The S.P.A.Z. giveaway from a couple weeks ago was quite successful, with about 140 people participating. While not a huge number, it was a lot more than I expected. Everyone had a high chance of winning, especially if they liked and followed RNIT (on Facebook and Twitter). I am doing another giveaway. Everyone is welcome; even people who already like and/or follow RNIT. If you already do, enter the form as if you just liked and/or followed. I am giving away FOUR (yes 4!) Steam keys for Limbo! Playdead (the developers) were very kind to sponsor this giveaway. Huge shoutout to them. Limbo is a fantastic game. I am not saying this to get more people in or because Playdead is sponsoring this giveaway. I have played it and it was awesome. It was a bit on the short end (I completed it in 4 hours, but it can take anywhere from 3 to 6 or even 7, maybe), but it is one of the most visually appealing games I've played through. Watch the trailer to get an idea. 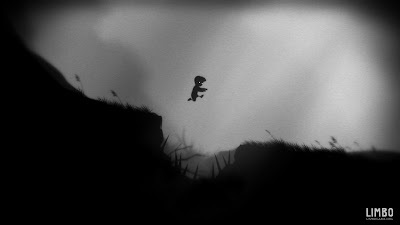 You play as a mysterious little boy in a mysterious world that feels post-apocalyptic. As you go on a journey, possibly to find civilization, you solve a wide range of mind-bending and sometimes mildly frustrating puzzles. It has a very interesting art style. The game has no color. It is black, white and everything in between. But it has such a huge amount of depth and detailing. It's hard to describe it without having to let you play for yourself. Trust me. It also has a great physics engine. Everything is so realistic although it's a puzzle platformer title. You tumble, fall, get sliced up, stabbed and whatnot. The physics are amazing. 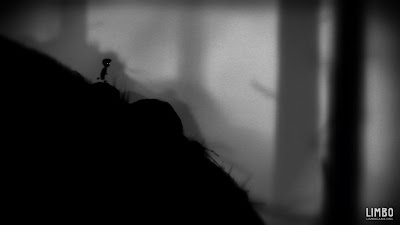 The game is also weirdly violent, but still child-friendly for the most part (if the children aren't uncomfortable with the darkness). There is no gore or blood very visible in the darkness. It's only hinted at (heavily). It may strike you as weird when you start playing it. I think surreal is the right word here. The game is super-fun and you should all participate. You have nothing to lose, after all. Find out more about the game on its website or on Steam. This game is available for Mac and Windows. There is a Linux version, but you can't win that in this giveaway since Steam has not yet released for Linux. Four people will win Steam-redeemable keys of the game. I allow winners to be free to do whatever they want with the keys - sell it, trade it, whatever. But I would encourage you to make sure the won copies get played by someone or the other. Playdead has been very generous and I don't want the keys to go to waste. Just fill out the form embedded below. Then like RNIT on Facebook and/or follow on Twitter. If you do both, you will be entered twice, thus increasing your probability of winning. Remember, very few people participate; you have a real chance of winning. I will pick a winner in a week using a random number generator and then counting down to that number in the entries that come in (number of claimed likes and follows). Then I will verify if the winner has in fact liked RNIT on Facebook and/or followed on Twitter based on the name(s) provided. If they have not, the next person will win. I will do this three times. There are three copies to win! Competition will last for a week (29th October). If there are too few entries, it may get extended. If you already follow/Like RNIT, indicate on the form how you're participating, as usual. Again, if you're following only one social channel, follow the other one as well to have an extra chance of winning the draw. Doesn't hurt! If the form below is visible, the contest is still going. This giveaway is no longer accepting any new entries. Tweet about this page using the hashtag #RNITLimbo and be sure to link back. There is a convenient button here if you don't feel like composing your own tweet. Why do this? Well, there may be a randomly selected winner from those who tweet this who will win a bonus prize. This prize is undisclosed. 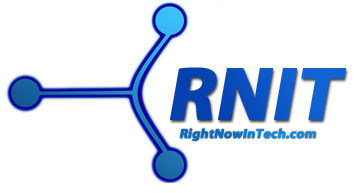 Remember to Like RNIT on Facebook and follow on Twitter. At least one is required. If you win and you have bluffed on the form, someone else will get your copy! One week. FOUR copies of Limbo on Steam. Good luck!